Theo Ratliff has authored a wonderful book that candidly shares the story of his childhood experience with bullying, and most significantly, the lessons learned. 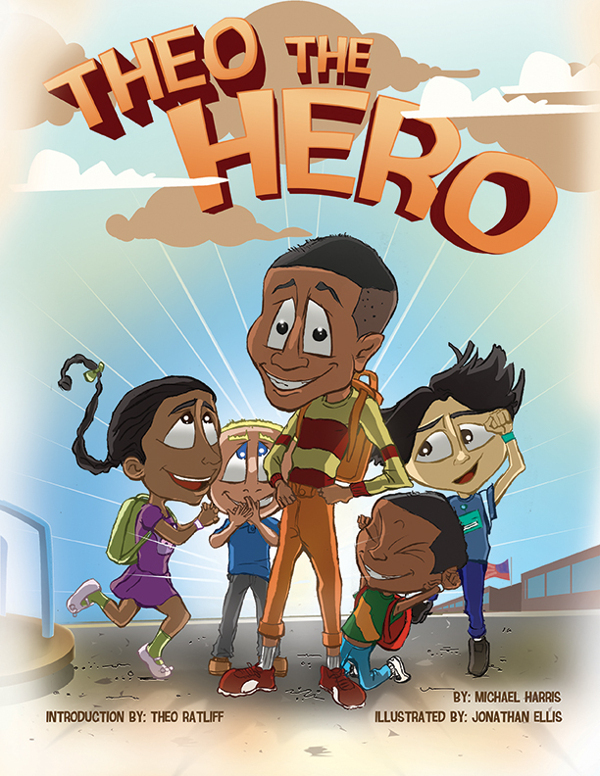 Theo The Hero has been, and continues to be, an ideal teaching tool for school staff, parents and children who want to build and share communities that will not tolerate such destructive behavior. Excerpt: “Then my mother pointed out that because I was taller, there were things that I could do that others might not be able to do now. For example, I could reach things that were on a higher shelf. Because my legs were longer, I could even ride a “big boy’ bike sooner than some of the other boys. After that, I stopped feeling ashamed about being different and really loved being tall. The next time anyone teased me, I remembered my mother’s words. I did not let the bullies’ mean words get me down anymore”.